Our newly reconfigured SEND Team, the Educational Psychology Service (EPS) and the Specialist Teaching Service (STS) ensures that we are able to effectively meet the needs of all children and young people with SEND. 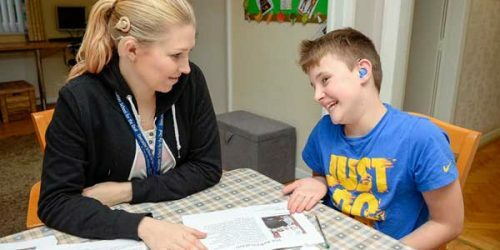 We wish to appoint an enthusiastic and committed Senior Specialist Teacher for Hearing Impairment who will manage the Hearing Support team and the Multi-sensory Impairment teacher. This person will ensure the delivery of SEND statutory services to children, young people and their families are effectively delivered. You will provide line management support and be part of the management team for the area, ensuring effective collaboration and joint working across the disciplines, and be responsible for the quality assurance of the work of direct reports. Applicants should be qualified teachers for Hearing Impairment with relevant experience in this area. The role is peripatetic and requires a current driving licence and access to a vehicle. Travel expenses will be paid. This is a countywide role. For more information or an informal discussion about the role, please contact Julie Rowland, Team Manager for Sensory, Physical and Down Syndrome teams tel. 07738 024082.